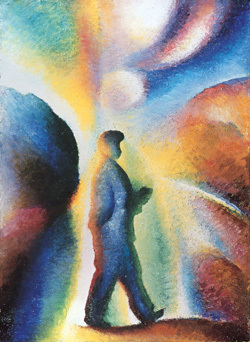 Oleg Vassiliev was born in Moscow in 1931 and was one of the leading figures in the Russian "unofficial" art movement. Since 1990, the artist lives and works in the United States. Oleg Vassiliev: Memory Speaks (Themes and Variations), published by Palace Editions, the State Russian Museum, with essays by Amei Wallach, Andrew Solomon, Natalia Kolodzei, Ilya Kabakov, Eric Bulatov, Victor and Margarita Tupitsyn, and Oleg Vassiliev. 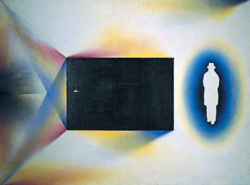 Oleg Vassiliev: Memory Speaks (Themes and Variations) reflects the artist’s career from 1949 to the present day. 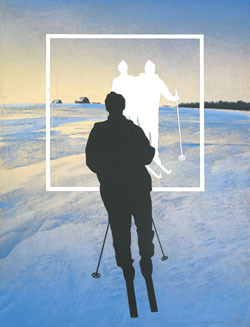 2004 Oleg Vassiliev: Memory Speaks (Themes and Variations). State Tretyakov Gallery, Moscow, Russia. 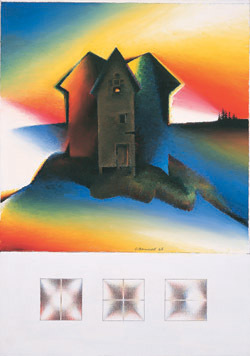 1999 Oleg Vassiliev: Works 1987-1995. Blomquist, Oslo, Norway. Oleg Vassiliev. On Black Paper 1994-1997. Wake Forest University Fine Art Gallery, Winston, Salem, NC, USA. Travel to Denison University Art Gallery, Granville, OH, USA. 1968 Oleg Vassiliev. Bluebird Cafe. Exhibition including 25 works. Moscow, Soviet Union. 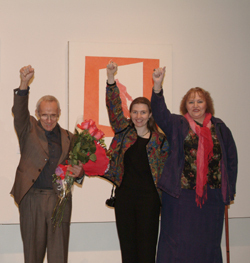 Oleg Vassiliev, Natalia Kolodzei, Tatiana Kolodzei at the Oleg Vassiliev exhibition at the State Tretyakov Gallery, 2004.